Earth Day comes every April 22nd - and this is the perfect day to kick off an entire month of Earth friendly activities! 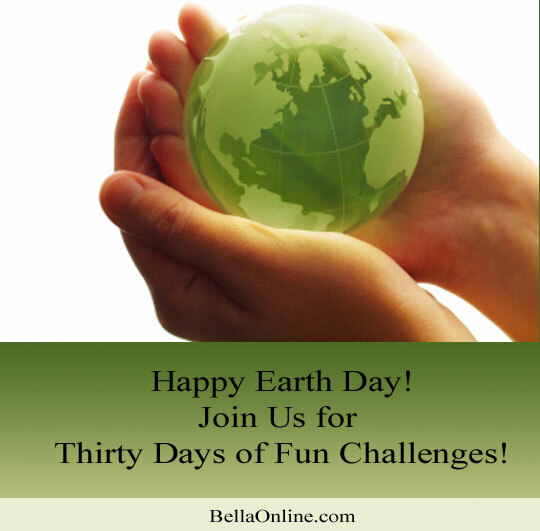 Join us for our Earth Day challenges. They'll help you live healthily, improve your nutrition, help your environment, and reduce stress! Check back each day for a fun new challenge. We'll be posting about these in our forums, on Facebook, on Twitter, on Google +, and on pInterest. So no matter which way you like to stay involved on the web, we're here to lend a hand! Day 7: Are Your Investments Green? Day 28: What are you Grateful For Today?